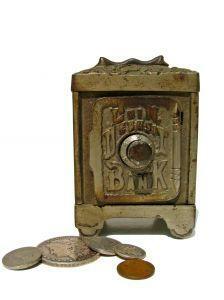 More banks are focusing on senior banking accounts and services. Now that you are older, your banking needs are changing. Banks are out to make a profit, and many charge you for every little service they can. While researching seniors' banking advantages, find out what your current bank is costing you. Check fees: How many checks can you write before you incur a fee? Zero or minimum-balance fees: Are you charged if your checking or savings accounts are empty, or the balance falls below a predetermined amount? No activity fee: Some banks charge if you do not make monthly deposits or regularly write checks. Other banks have a transaction minimum. ATM fees: Does your bank charge you to use your ATM or debit card? Internet banking fees: Though many banks offer free online banking, others are beginning to charge for this service. Conversely, some charge you for not utilizing your internet banking account. Bounced checks: All banks charge when a check bounces. However, some offer overdraft protection. Designed for savings account customers, your money will transfer from savings to checking if needed, and you will avoid an insufficient funds charge. Cashing a bad check: Most banks charge you if you cash a bad check, but the charges vary significantly. Now that you are aware of what to look for, take this information on your search for the best deal in seniors' banking. Getting older has money-saving advantages. Senior discounts finally include banks. Take advantage of discounts on loans, banking services, and even increases in CD and other investment rates. Senior checking accounts can save you money as many offer special advantages. Most banks charge you if you have a zero balance in your checking account. As a senior, you can often get this waived. Another charge banks hit you with is a penalty if you do not use your account monthly. Find out if your bank offers a discounted monthly fee that includes no check minimum or maximum. Always ask for a free first set of checks. Look for a bank that offers you a program with a decent interest rate and low fees. The goal of a savings account is to protect your money and help you take advantage of retirement benefits. Ask about minimum balances, interest rates, fees, and any "fines" for accounts below a certain balance. Certain banks offer a higher interest rate if you keep your savings balance over a predetermined amount. Make sure you have retirement investments other than a savings account. If you have a lot of money sitting there, consider placing it in a low-risk investment like a CD or bond. Some banks offer an extra interest point or two for seniors. They also can help set up Individual Retirement Accounts (IRAs). One of the fastest growing trends for seniors is online banking. The convenience of paying bills online, checking your account, and transferring funds has more seniors jumping on the Internet. It saves both time and energy. Always keep in mind that banks will negotiate and waive fees. If you have significant funds to keep in a savings account, use that to your advantage. Regardless if you have a lot of money in savings or draw a modest Social Security check, banks want your business. Know their competition and use it to your advantage to get the best deal on your bank accounts. The secret to seniors' banking is to understand all your options. Find a bank that will protect your money while earning you a decent interest rate with little or no fees.